The Scout takes you back to minimal fuss, raw mountain biking. Whether its embracing your spirit of adventure or attacking the trail, the Scout 275 Race is designed as a do it all hardtail. Its low bottom bracket, slack head angle and stiff frame allow you to explore endless singletrack, rail berms or session the pump track. Whichever wheel size you choose, Nukeproof guarantee you will enjoy every second of your ride, so get out and explore nature's playground. The Scout 275 Race is robust and versatile enough to provide comfort for longer XC rides, while allowing excellent handling at top speed. A low bottom bracket, slack head angle and stiff frame allow you to tackle anything that you come across. 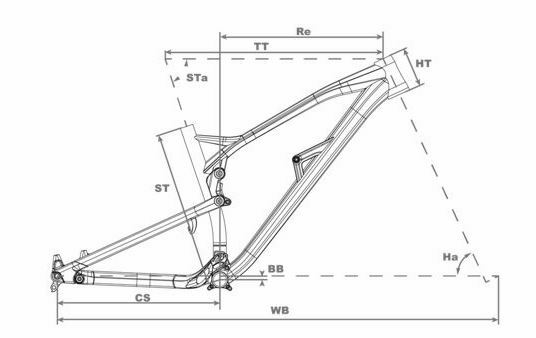 Updated with longer geometry to accommodate even the tallest of riders, Nukeproof's engineers took the opportunity to soften the ride with a profile seat stay assembly offering more compliance without compromising the torsional stiffness of the frame under pedalling. Paired with the new ‘Boost 148’ rear axle spacing, helping build a stronger, stiffer wheel, the acceleration of the new Scout has been notably improved as well as allowing additional tyre clearance for up to 2.8” tyres. Recommended Rider Height (Imperial) 5'3" - 5'7" 5' 7" - 5' 11" 5' 11" - 6' 3" 6' 3" - 6' 7"
Recommended Inside Leg (Imperial) 28" - 30" 30" - 32" 32" - 34" 34" - 36"
ST - Seat tube Length 380mm / 15" 420mm / 16.5" 460mm / 18" 510mm / 20"
View the Nukeproof Bikes Size Guide. Please note, occasionally without notice, manufacturers sometimes change product specifications.